The term coarse fishing has no link to its name. It is a type of fishing where you try to catch coarse fish rather than game fish. This term comes from the distinction between game fish, such as salmon and trout, which are generally caught for eating, and all other fish, such as roach, bream, tench and perch. All types of fishing, whether game or coarse, are prevalent within the United Kingdom. What is the difference between coarse angling and game fishing? If you wish to try coarse fishing, there are many popular ways to test your luck. You can fish on lakes, canals, rivers, reservoirs and many of the multitude of man-made fisheries which cater to this sport. Whether you wish to fish by yourself, or with a friend, in the solitude of the countryside, or participate in a match fishing competition, there is something for everyone. 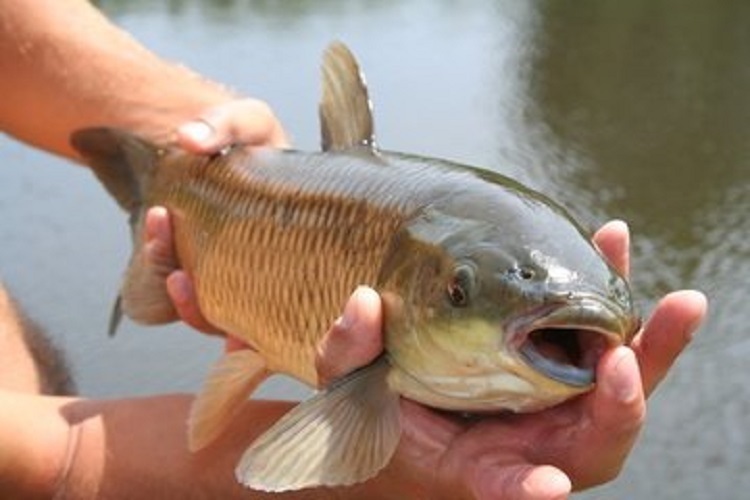 The many varieties of coarse fish that you can expect to catch are roach, bream, tench, carp, perch, chub and pike. All offer different individual challenges to capture a good specimen. You can fish a float, leger, swimfeeder or many other types of methods to make sure you secure a good catch. Although coarse fish are generally considered not suitable for the table, it should be known that both perch and pike have been eaten for many centuries, and can still provide a tasty dish today. Whatever type of terrain you wish to fish in, please make sure you have a suitable pair of shoes for the occasion, as the riverbanks may be slippy. Also, should you be lucky enough to catch an eel, this has been regarded as a delicacy for many years. Jellied eels are still a favourite food source in parts of London. This genre of the sport of angling usually includes the pursuit of traditionally edible fish, such as trout of all kinds and salmon. You can fish lures that resemble prey-fish, and flies which resemble natural insects such as a damsel fly, nymphs and mayflies. This type of fishing is different from coarse fishing since the bait is usually mimicking a natural food source. You can fish on the mighty River Tweed in Scotland for salmon, the chalk streams of the Chilterns or one of the many commercial trout fisheries throughout the United Kingdom. At most of these types of venues, you are allowed to take a certain amount of fish for your own personal use. Certainly, at commercial trout fisheries, you are allowed to take a set number of trout which is included in the price of your permit to fish. These commercial fisheries are stocked on an annual basis purely for the delight of the paying angler.